Welcome to the virtual home of the Republican Committee of Lower Merion and Narberth! We’re glad you’re here. Just like you, we are committed to strengthening our community, and making it an even better place to live, work and raise a family. I’m Phil Rosenzweig, chair of RCLMN. Together, with my executive committee, committee people, elected officials and you, we will work to revitalize our local Republican party. RCLMN consists of a strong group of women and men of all ages committed to fiscally responsible and effective government. From raising awareness on important issues to providing opportunities to get involved, we are the place where our community rallies to make things better. We want to bring our community together to get things done, and I hope you will join us in this effort. I look forward to meeting you all, but in the meantime, please sign up here to get our emails, and like us on Facebook to stay up-to-date with our activities. established and maintained excellent schools, superior police and fire departments, effective municipal government and desirable residential neighborhoods. Republicans achieved these results through a commitment to low taxes, controlled spending, education, and support for our business community. Recruit, support and elect Republican candidates to achieve Republican majorities on the Lower Merion and Narberth School Board, Lower Merion Board of Commissioners and Narberth Borough Council. Support Republican elected officials and candidates who share our Statement of Principles. Promote and foster the principles of the Republican Committee of Lower Merion and Narberth. Advance policies that broaden the tax base by attracting and retaining businesses. Increase Republican voter registration in Lower Merion and Narberth. Promote strong existing neighborhoods and non-profit institutions and the securing of open space. Prioritize the educational achievement of our students. Inform our neighbors about the key local issues that will determine the future growth and prosperity of our community. We host fundraisers for our candidates, and we have fun and exciting social and political events on a regular basis. We BELIEVE the strength of Lower Merion and Narberth lies in the individuals that comprise our community and that each persons freedom, dignity, ability and responsibility must be honored. We BELIEVE the most effective, responsible and responsive government is a government that listens to and works for the people. We BELIEVE that the best government is a limited government. We BELIEVE low taxes, free enterprise and encouraging individual initiative have brought Lower Merion and Narberth opportunity, economic growth and prosperity. We BELIEVE our government must be prudent, consistent, and predictable and must control spending and respect the taxpayers. dollars. We BELIEVE in conservation, promoting and securing open space and good stewardship of our environment. We RESPECT private property rights, existing neighborhoods and our local institutions. Private property rights should be carefully balanced with the needs of the broader community. We BELIEVE in equal rights, equal justice, and equal opportunity for all. We BELIEVE it is important to remain true to these principles that have made us strong while at the same time developing new and innovative ideas to meet the challenges of changing times. 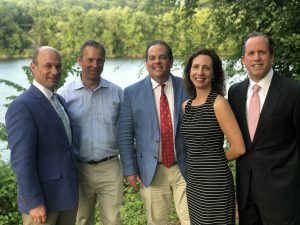 FINALLY, we believe the Republican Party has been and continues to be the best vehicle for translating these ideals into positive and successful principles of government in Lower Merion and Narberth.